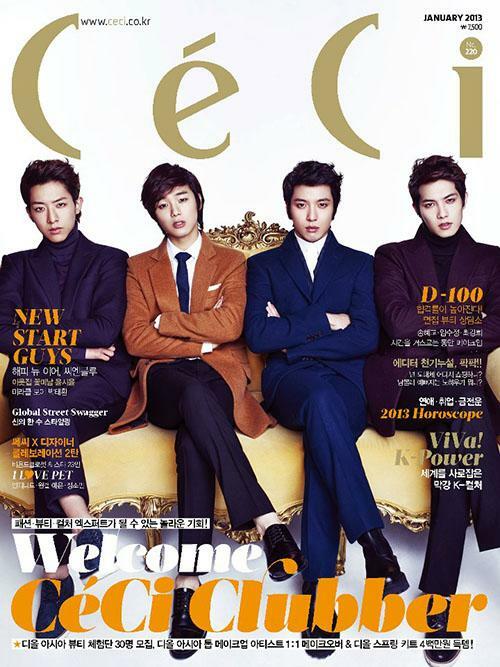 [by Kang Jung yeon] Korean group singer CNBLUE made the first cover of CeCi for 2013. 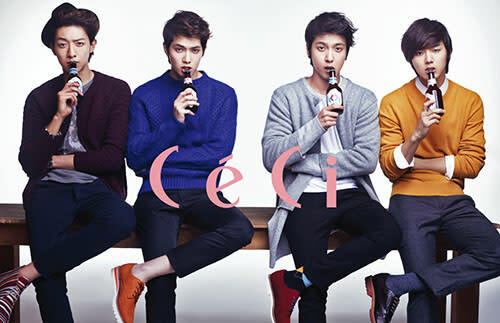 In the pictorial, CNBLUE is wearing different style from classic suit to dandy casual look. During the interview, Lee Jung shin talked about how he felt to cut off his hair for a drama shooting. Lee Jong hyun who played a significant role on The Dignity of a Gentleman chose actor Jang Dong-gun as his role model, and Giana and Son Ye jin for his ideal type of woman.